You all know I love following trends and sharing my favorites with you. So, when JORD offered me one of their wooden watches I couldn’t say no. They are on trend for fall 2018 because they give off a unique, vintage vibe. I’m already in love with my watch! I’ll be sharing more about JORD watches throughout this post, but scroll to the end of this article to enter an awesome giveaway with JORD! First of all, wow! When I opened up my package to this sleek, wooden box I was already impressed. With curved edges, a magnetic closure and a carved logo, I could tell this product was going to be high quality. Upon opening the presentation box, I was literally giddy with excitement! It was even prettier than the pictures I had seen online - and trust me, I did a lot of instagram research to pick out which watch I wanted haha! I ended up choosing the Cassia in Walnut & Vintage Rose. I was attracted to this watch because of it’s simplicity and classic design. The slender, walnut band paired with a bold, domed sapphire glass face is the perfect combination. Plus, I can’t say no to girly little details and the rose gold details are right on trend! As someone who works in an extremely busy environment, I don’t have time to be glancing at my phone throughout the day. I have been saying for months that I needed a good quality watch in my life! Not only is my work environment super busy, but I’m also expected to dress fashionably and on trend for my job. 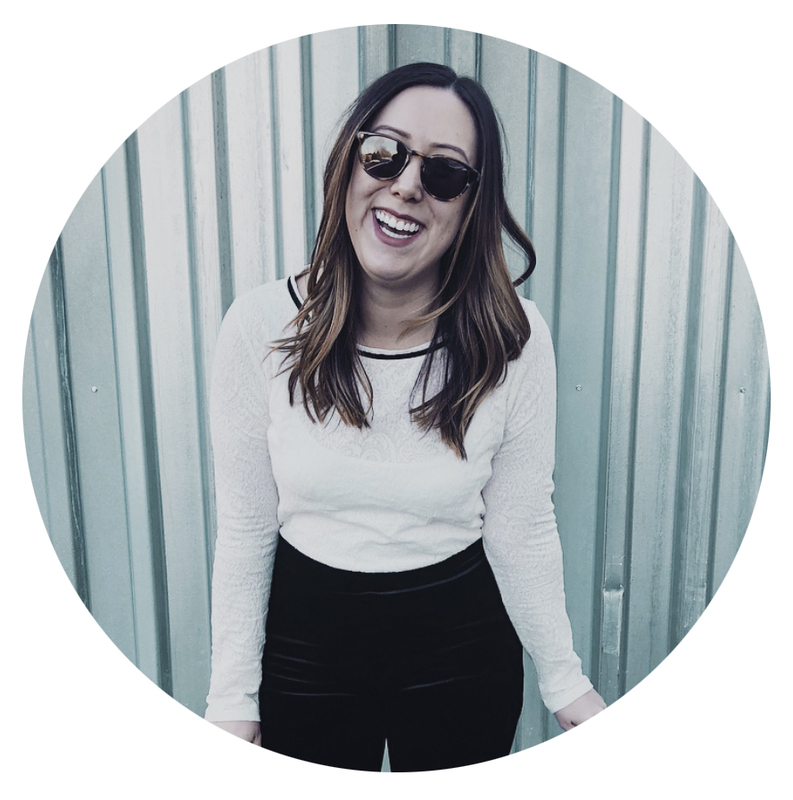 This watch from JORD is the perfect accessory for all of my outfits and so easy to style! I think the reason I’ve enjoyed my JORD watch so much is because of the versatility it gives you when styling. The rose gold accents let you pair silver or gold jewelry with it, and it adds some wrist bling to every outfit, which never gets old. 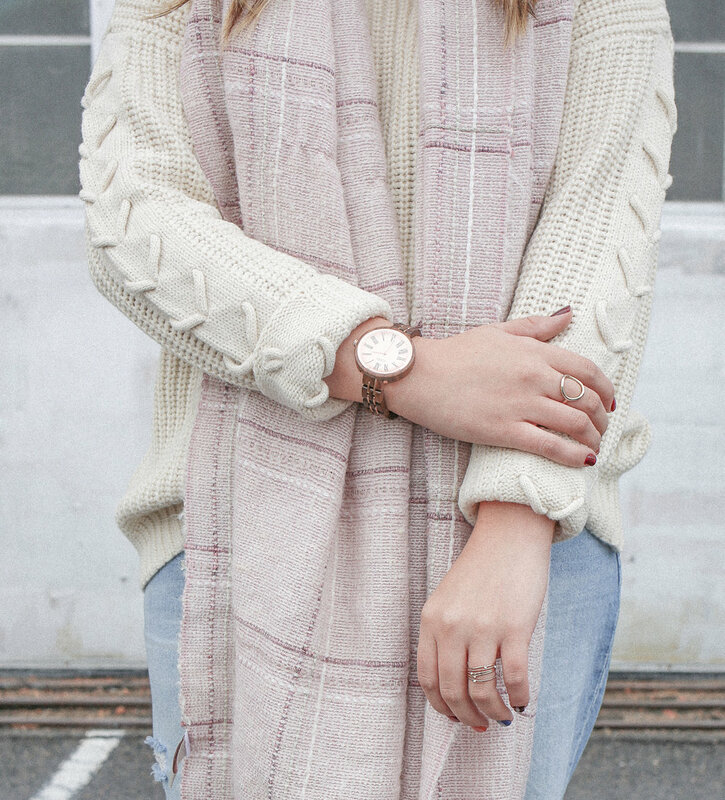 Wearing my watch with chunky sweaters and dainty jewelry will be on repeat this fall season! There are plenty of great options when it comes to shopping for your JORD watch. Some of my other favorite styles are Cassia in Zebra & Ivory, Frankie in Purpleheart & Plum, and Fieldcrest in Zebrawood & Maple! There are so many fun, classic styles! Check them out for yourself and tell me which one is your favorite in the comments! Boys, you better watch out because there are JORD watches for you too! While some of the collections like the Fieldcrest and Frankie series are unisex, there are also unique series for just men. I personally love the Dover in Koa & Black because of the skeleton face, which is a very popular trend for timepieces this fall! My boyfriend took a peek at all the options and is obsessed with two different styles: Meridian in Nightfall and Dover in Ebony & Copper. They are both simple and unique while still being masculine! Who knows, maybe he will receive one of these watches as a gift this holiday season! I would love to give the gift of a JORD watch this year! They offer engraving which is such a unique and thoughtful feature! You can customize your message on the backplate of the watch, on the presentation box or both. This is such a great sentiment and the perfect gift for birthdays, anniversaries, holidays, career accomplishments and special events! Overall, I am very happy with my wooden JORD watch. It’s comfortable for everyday wear, matches different metals and outfits and it’s a great conversational time piece. Everyone will ask you where you got your watch, and it’s so fun to share a company you truly believe in. Go ahead and take a look for yourself and shop all of the watches, and while you’re at it enter my giveaway below! Even if you don’t win the BIG prize, everyone who enters will receive a 10% off discount code. How cool is that!? I’ve partnered with JORD watches to give away one $100 gift code to use towards your own wooden watch! Entering is simple, plus everyone wins a 10% off code to use towards the wooden watch of your choice! Just follow the link below, entering only takes 30 seconds!